We were lucky to spend two evenings with friends in Cape Town. My grandmother connected us with her childhood best friend’s son, Tim, and his wife Sherry. Sherry is from South Africa and Tim is the director of Stanford’s exchange student program in Cape Town. The program focuses on service learning, and students pair up with NGOs in the townships for a quarter. What an amazing opportunity for college students! 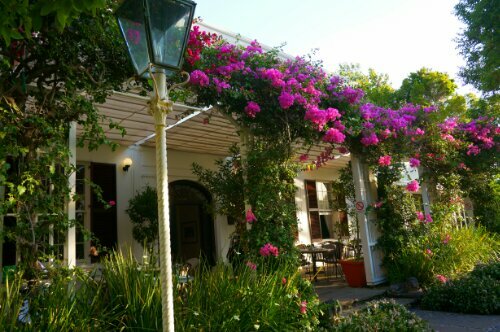 Sadly Tim came down with the flu the night we were supposed to meet, but Dan and I enjoyed a lovely wine tasting and dinner with Sherry at the beautiful Vineyards hotel in Newlands. It was great to see a picturesque neighborhood outside of the city proper. 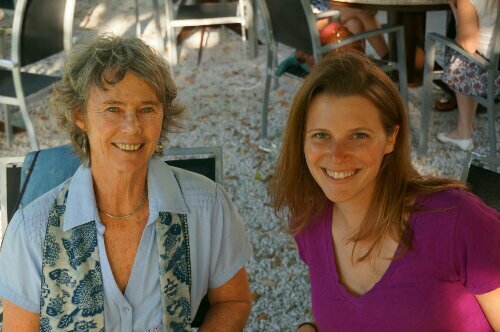 Sherry knows everything about Cape Town and we loved her local perspective. 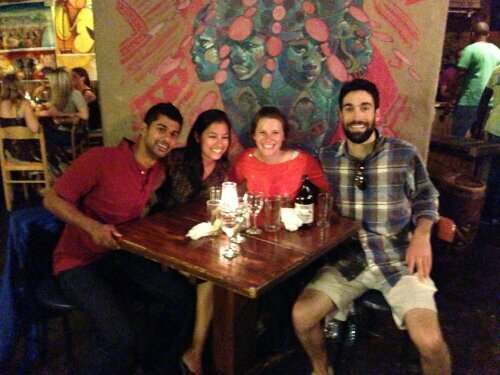 On our last night in Cape Town we met up with one of my Emory friends, Jess, and her boyfriend, Ganesh. They are spending two months in the city as part of their MBA program. We were super envious of their extended stay in our (new) favorite city, not to mention the 20-day ‘over-land’ tour they had just done through Zambia, Namibia, and more. Lucky ducks! We had dinner at Mama Africa, known for the extensive game menu and amazing live African music. It was a great dinner but also SAD as this was the last night in Cape Town for me and Dan, and we felt nowhere near ready to leave. 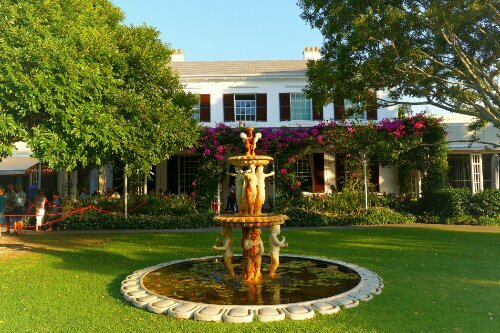 And I will admit this here because it is extremely rare that I’m wrong (and Dan deserves FULL credit) – but it has to be known – when we planned this trip I was completely uninterested in going to Cape Town. It was a stop-over to appease my husband. Had I been living under a rock? Yes. All I know is that when I brought up Cape Town, people would say, ‘it’s a great city – much like San Francisco!’ I envisioned a foggy, coastal SF-esque city surrounded by Napa-like vineyards. Why go there for vacation when I am there everyday? Cape Town was also totally off my radar – it’s a loong 24 hours of travel time from CA so I didn’t know anyone who had been there, except for two high school friends who had studied abroad there, but that was eight years ago, when I was South-America-obsessed! I was ignorant, out-of-the-loop, crazy…thank goodness my travel companion didn’t let me get to him. Dan – you nailed this one and, yes, now I trust you to pick (some) of our travel destinations. And I’m ready to go back to Cape Town since we left one major excursion off our list…. shark diving here we come!!! This entry was posted in Uncategorized on February 7, 2013 by Jill.